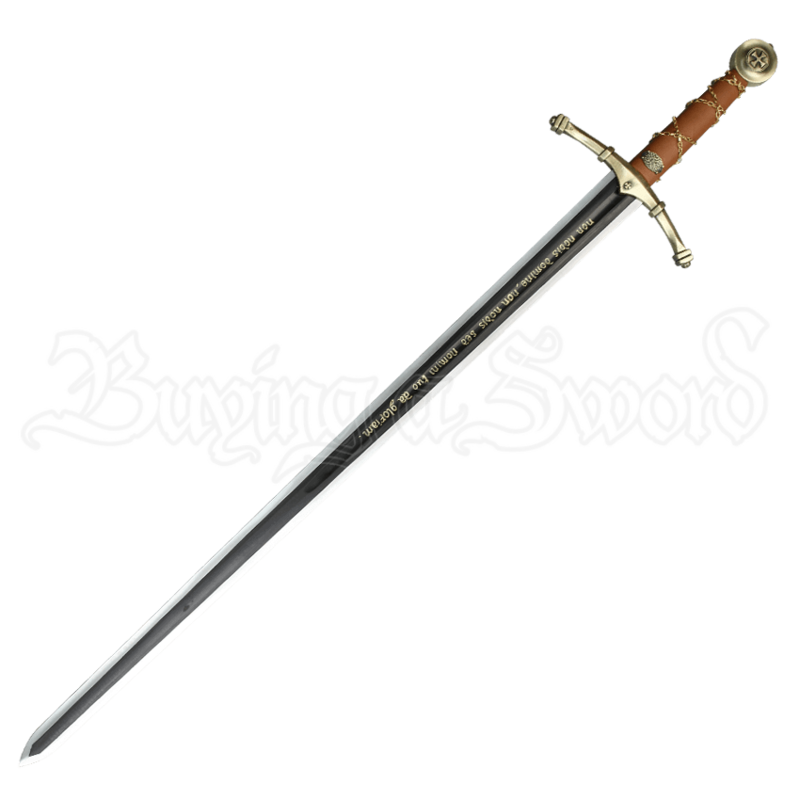 This sword is not consecrated or sanctified, but rather, its title as the Crusaders Holy Sword is a direct reference to the quote that is inscribed along the swords blade, which helps transform this impressive sword into a weapon worthy of a crusader. Even the swords hilt is impressive, featuring a plain brown grip wrapped by bronze-toned chains and set with small bronze emblems near the guard, while the medallion pommel features a classic crusaders cross. The guard features the same burnished metal tone as well as a small cross decoration. The blade is two-toned, featuring a darkened spine with polished steel edges. 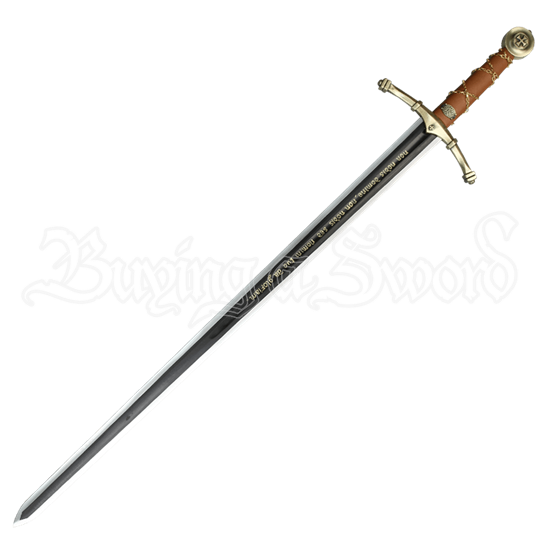 Inscribed in gold lettering down the center of the blade is the phrase non nobis domine, non nobis sed nomini tuo aa glofiam. This Latin phrase translates to, Not to us god, not to us but to you goes the glory. It includes a simple yet stunning wooden plaque that makes displaying it quite easy.